Sarcoma. 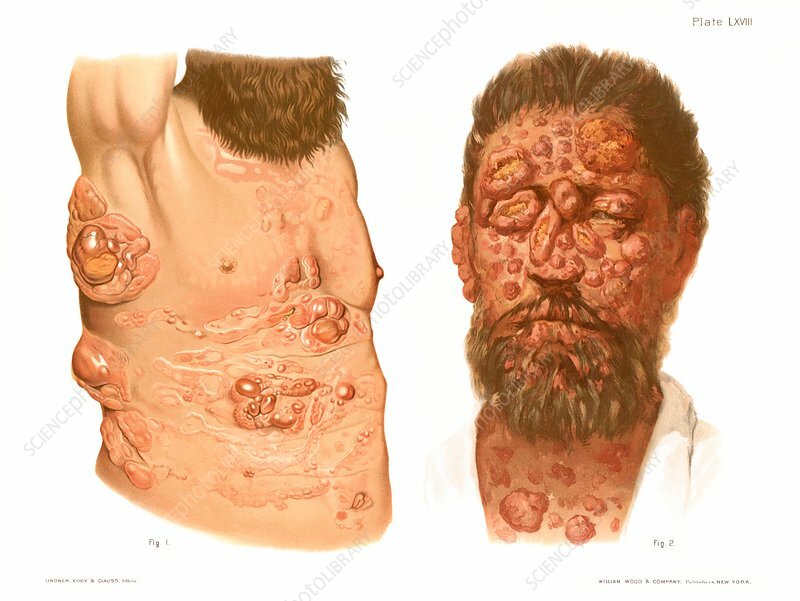 Historical medical illustration of sarcoma tumours affecting the body and face of male patients. Sarcoma is a type of cancer that arises in bones, muscles, tendons, cartilage, nerves, fat, and blood vessels and other tissues. From Atlas of Venereal and Skin Diseases by Prince Albert Morrow, published in 1889.